On Thursday, November 20th at the Multnomah Athletic Club in downtown Portland, Serendipity Center hosted it’s second annual Youth Opportunity Summit informational breakfast. The early morning event, hosted at MAC featured a speaking engagement from Dr. Wilson Kenney – the Co-owner of the Center for Integrated Intervention. Dr. Kenney delivered a focused and engaging presentation about the impact of poverty on human development, and discussed ways we can help individuals and families overcome such tremendous obstacles. To learn more about the Center for Integrated Intervention, click here. The Youth Opportunity Summit breakfast successfully brought together leaders from the education and business communities to discuss the social and emotional impacts of poverty, particularly it’s effects on children. Last school year, Serendipity Center students participated in the “YO” Summit; an all-day event designed to better equip Serendipity students and graduates with the skills necessary to become positive members of the Portland community. Special thanks to Miller Nash LLP for continuing to embrace the Serendipity Center mission by sponsoring our Youth Opportunity Breakfast. This fall the students of Serendipity Center were challenged to reach a goal of 2,000 school-wide PBIS tickets to earn a wonderful autumn celebration. Not only did the students of Serendipity rise to the challenge and succeed at earning the Fall Harvest Festival, they smashed through the 2,000 ticket goal and earned over 2,200 by demonstrating safe, respectful, and responsible behavior at school. 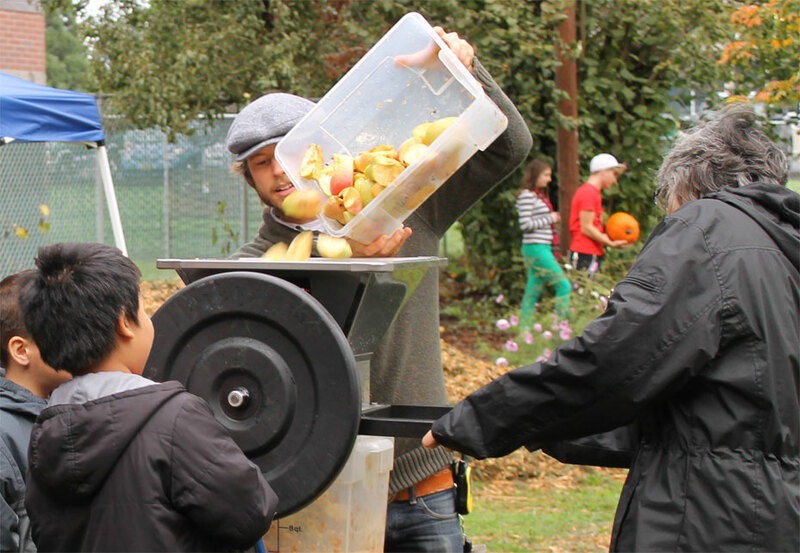 Some of the events at this year’s Harvest Festival included an apple press, which gave students an opportunity to make apple cider from scratch using apples donated to Serendipity Center by The Barn for the festival. Students were also able to participate in a needle in the haystack search and decorate pumpkins, some of which were harvested from our Growing Minds Garden. Serendipity Center adopted PBIS as a school-wide protocol in 2010 and has since seen a number of positive changes in student behavioral management. PBIS (Positive Behavioral Interventions and Supports) is the framework for adopting and organizing evidence-based behavioral interventions into an integrated continuum that enhances academic and social behavior outcomes for all students (pbis.org). Our fantastic behavioral support specialists have guided Serendipity Center though the adoption phase of PBIS and provide continue support to classroom and support staff. Thank you to all of the staff, students, and volunteers who worked so hard to ensure the Harvest Festival was fun and memorable afternoon.